Most of us know the story behind the start and rise of Facebook thanks to the success of the movie, The Social Network and all the publicity that Facebook generates. But did you know that since its roll out to the public in March 2011 (and developed in 2009), Pinterest has been named by many organizations, including SAP and Netbase, as the fastest growing social site ever? Smart businesses are setting up business accounts on Pinterest and using their boards to attract and get more followers of their brand. If this is the first time Pinterest has been on your radar screen, don’t fret. You can hop on this social media bandwagon and get up to speed rather quickly. 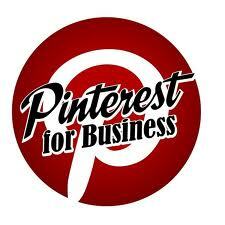 Start by going to this Pinterest business page link and creating your account. Since this is a brand new account, you can use whatever email account you want to link it to and agree to its terms and conditions, fill out some general information and you are good to go. If you have been enjoying pinning for personal use and do not want to lose the current followers you have, Pinterest has made it easy to convert your personal Pinterest account to a business one. Click here to get started. But before you do that, you want to make sure that you don’t mind everyone seeing your personal pins in addition to your business pins. You can merge the two accounts (and maybe delete some of your personal pins if needed) or create a separate business account by using a work email address or other email address. Now that you have created your Pinterest business account, the next thing you want to do is add a Pinterest widget that will allow readers of your blog or website to “pin” something onto their Pinterest board. Now you can start pinning visuals to your board to get more followers to not only your Pinterest page but also Facebook and of course your company website. 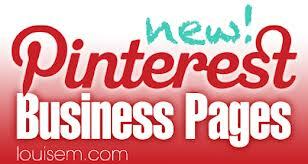 To get a free e-book that provides more information on using Pinterest for business, click here. 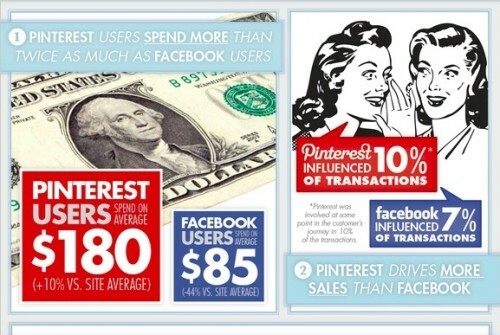 Or another good read on how Pinterest is helping businesses use their social media platform, check out this Forbes article. People will want to repin your pins if you have compelling visuals of your products and offer content in fresh and useful ways like in an infographic. For example, you can create an infographic on anything from something related to your industry to explaining your product or service in a colorful and creative way. We, at The Savvy Socialista, are experts in creating graphics of all kinds including infographics. Just give us a call and we can put our design team to work on creating a graphic or graphics that will help you get followers of Pinterest boards converted to buyers of your products or services. So, how are you doing with Pinterest? Not enough time in the day to spend on Pinterest? Look no further! The team at The Savvy Socialista can help. We have monthly plans to fit any budget that include pinning on your Pinterest boards for you…heck! We’ll even set them up for you. Just fill out a contact form and we’ll be right with you! Thanks so much! My website is custom. My company designs and develops websites. We’d be more than happy to help you!